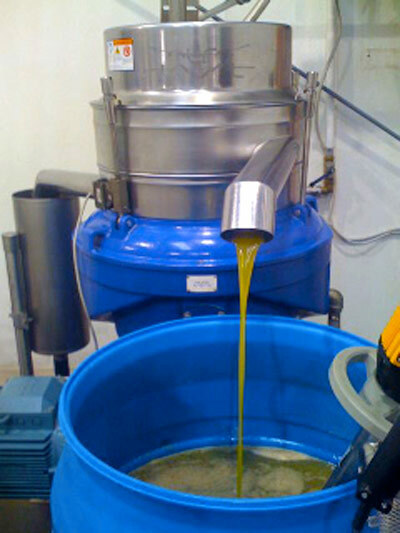 "Albert (KATZ) is a wizard who has learned through passionate trial and error to do what many people think is impossible: make great olive oil in California." "Best of Show - a phenomenal oil, showing consummate skill and artistry in growing the fruit, extracting the oil, blending (if applicable) and conserving the oil." 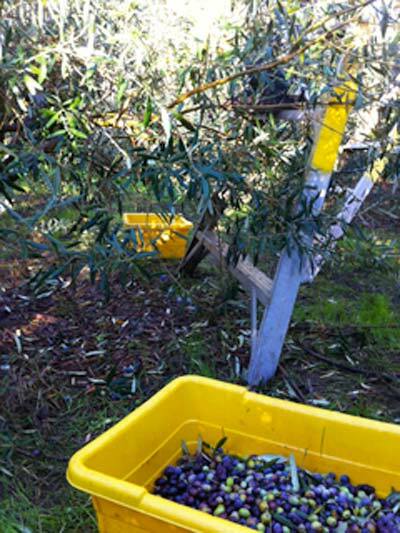 Our organic, multi-gold-medal winning EVOO from our KATZ Farm in California’s Suisun Valley was harvested November 1-11, 2018. Our estate-grown Organic Chef's Pick is the choice for many of the finest restaurant chefs...who often help us "pick the olives" for this oil, and then "pick" it for their culinary pantry...hence the name! The famous Chez Panisse Restaurant and Cafe in Berkeley, Ava Gene's and Tusk in Portland, use Chef's Pick in their kitchens, among many more of the best restaurants in the country. All of our oils are authentic extra virgin, COOC taste panel certified, organically grown, and lab tested for chemical components...our oils are the real deal! 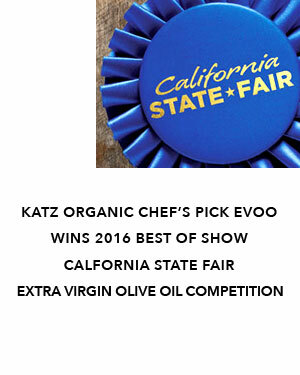 This year's KATZ Farm Organic Chef's Pick EVOO continues its tradition of bold flavors and rustic charm. The nose exhibits green notes, with hints of artichoke and fennel, and nuances of herbs, sweet spice and fresh-tomato leaf. The oil has a bold flavor with a robust pleasant pungency - the pepper in the back of your throat announces its polyphenolic freshness. The oil has a low 0.02 free acidity reading and a peroxide value of 2.1, well below the international threshold and a sign of the oil’s very high quality and structure. It has a polyphenol reading of 420…a high reading and a sign that it is full of anti-oxidants. Chef’s Pick enhances a wide array of foods, but its bold flavor will shine in seasonal pasta dishes, casseroles and stews with meats such as lamb, beef or game, and in dressings for leafy greens such as spinach and arugula. This is the perfect condiment oil for the professional and home cook. 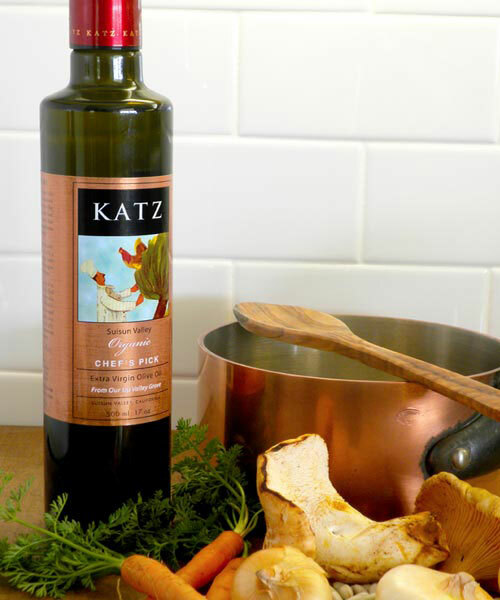 The flagship of our KATZ offerings and a multi gold medal winner and Best of Show winner at the prestigious California State Fair Competition, KATZ Farm Chef’s Pick is blended in small lots from oils harvested from olives grown on our organic KATZ Farm in the Suisun Valley (on the eastern border of Napa). Situated in the warmest microclimate in the Valley, it was the ideal setting to plant the Tuscan varietals that make up the heart of this oil each year. 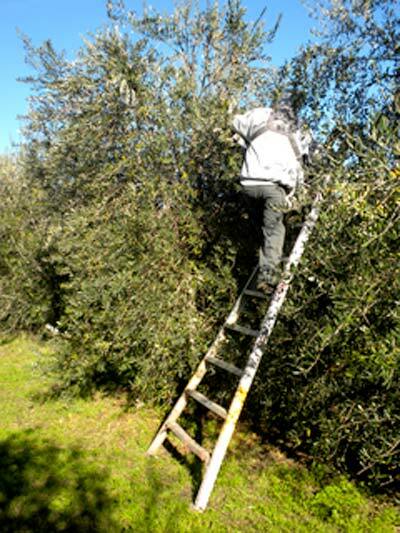 This historic agriculturally rich valley with loamy and sandy soils is an ideal growing region for the Italian varietals of olives planted there. 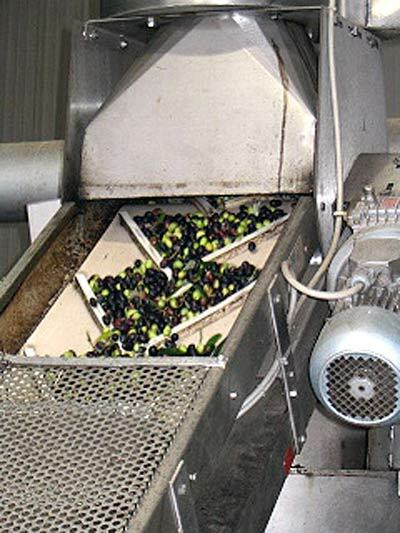 Our goal each year remains the same…produce an excellent and high-quality oil that reflects the generous flavors, balance and harmony that come from good growing and harvesting practices. KATZ Farm Organic Chef's Pick proudly bears the California Olive Oil Council's "certified extra virgin" seal, your assurance of authenticity and high-quality and 100% California Olive Oil. Frantoio and Maurino...45%, these classic Tuscan cultivars lend the rustic, bold charm with grassiness and artichoke flavors. Leccino...35%, the character of this traditional Tuscan varietal has an outstanding balanced fruitiness with spicy and grassy overtones, and a mild to soft pungency. Taggiasca and Casaliva...10%, these varieties are native to the Liguria and Lombardy regions of Italy, respectively. They are noted for their soft and persistent fruitiness with sweet overtones producing a lush mouth feel. 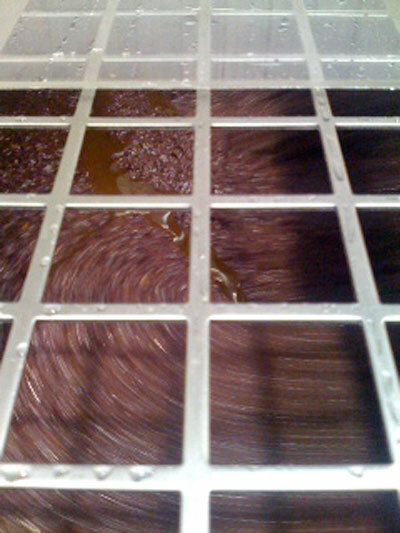 Coratina…10%, This year’s blend contains this variety which is native to Puglia. 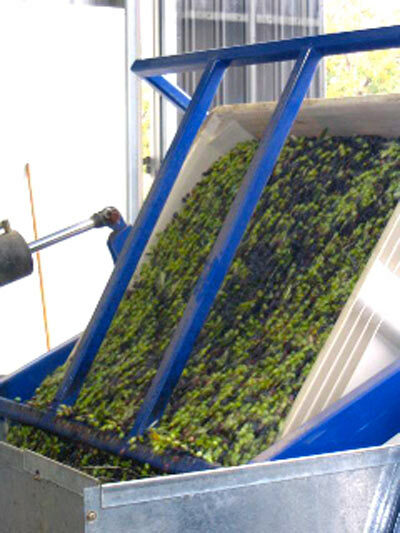 It is a robust variety with intense fruitiness and very high polyphenols. 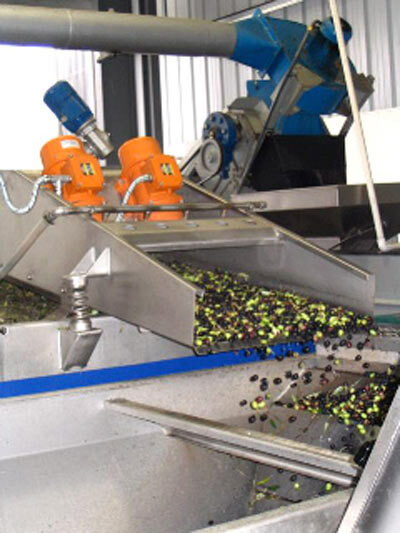 One of the 5 Best Olive Oils in the World! Details Magazine...Thank You!